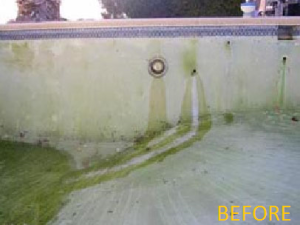 A GREEN POOL IS NOT ONLY UNSIGHTLY BUT AN EXTREME HEALTH HAZARD. 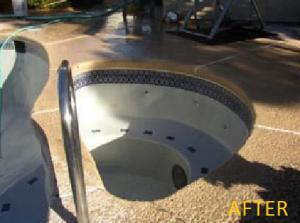 WHY RISK IT? 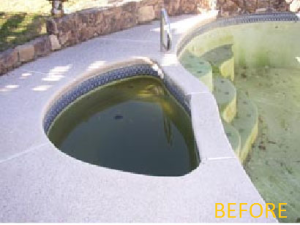 GIVE US A CALL, WE WILL TURN YOUR POOL FROM GREEN TO CLEAN IN NO TIME, FILTER CLEANING INCLUDED. 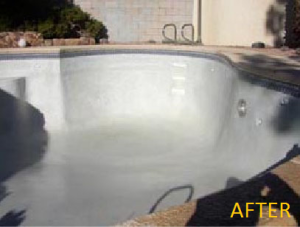 PRICES FOR A RESIDENTIAL POOL AND SPA TYPICALLY RANGE FROM $250.00 TO $450.00 FOR A CHLORINE BATH WITH FILTER SERVICE.